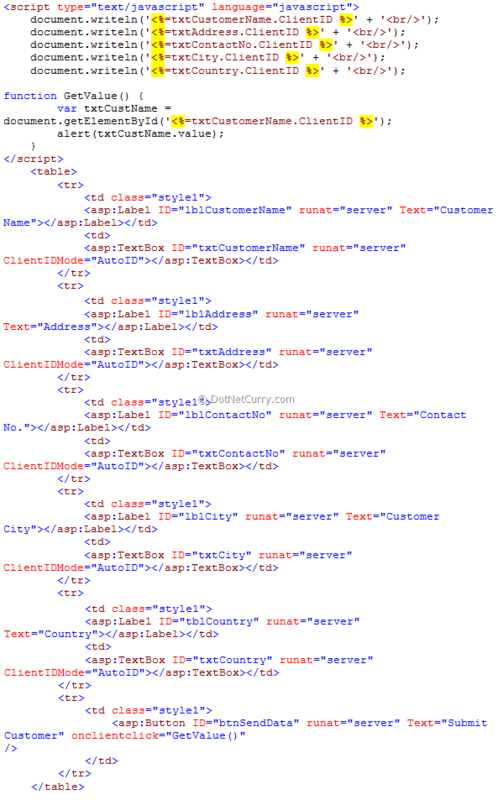 Abstract: In ASP.NET 4.0, Microsoft has given developers the control to render client side ID of Server controls, by introducing a new property called ‘ClientIDMode’. In this article, we will explore this property. AutoID – this is the same as previous web server control ‘ID’ rendering at client side. 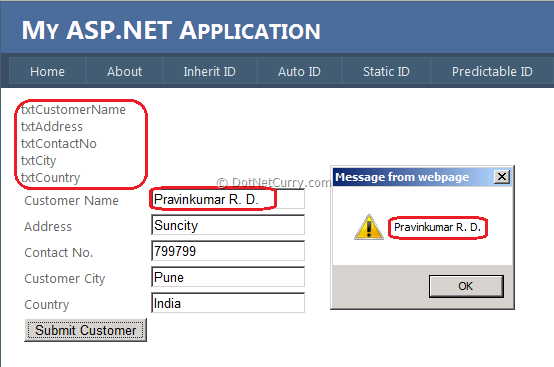 Static – this option keeps the server ID name intact even at the client side. 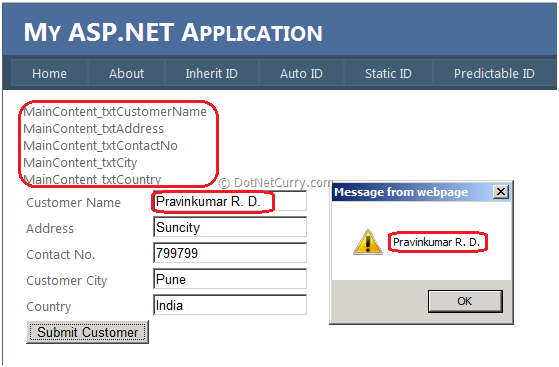 For example if the Textbox ID at server side is ‘txtCustomerID’ then at client side, it will remain as it is. 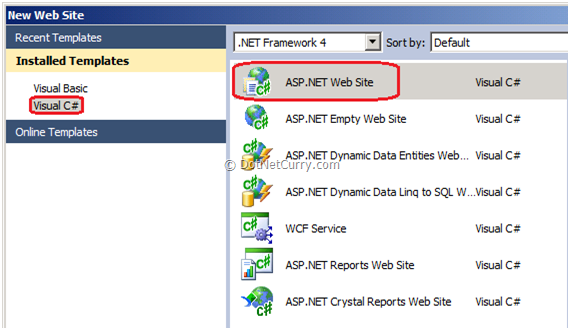 Predictable – this option is used for repeating templates like Gridview or Listview. 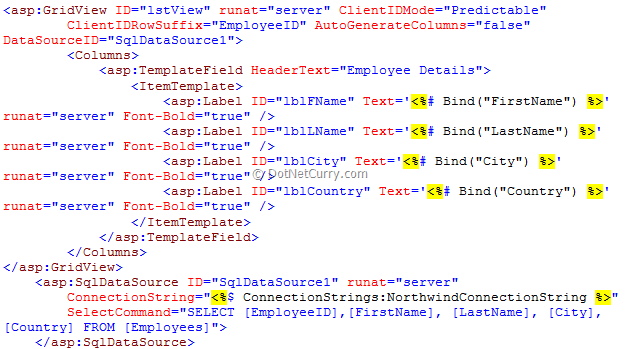 Inherit – ClientID will be generated the same way as Parent ID. 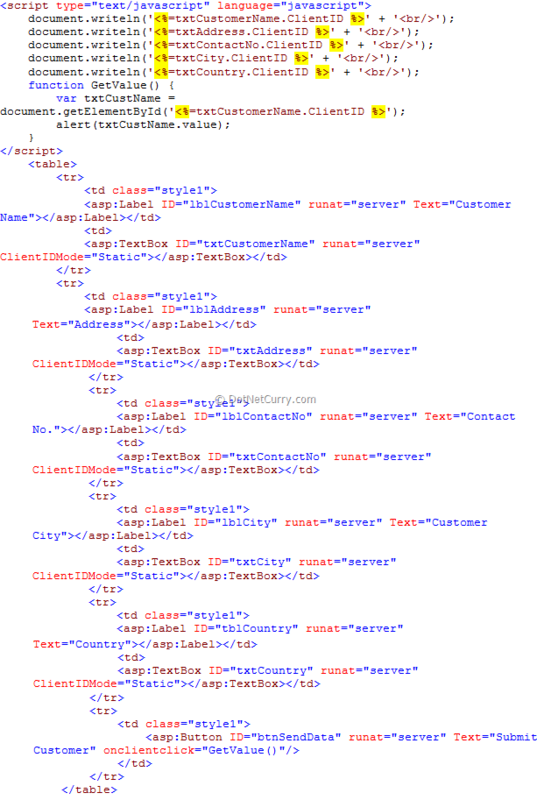 For example, if the ParentID is ‘MainContent’ then the Textbox ‘txtCustomerID’ will be ‘MainContent_txtCustomerID’. Note: I have used document.writeln just for illustration purposes. 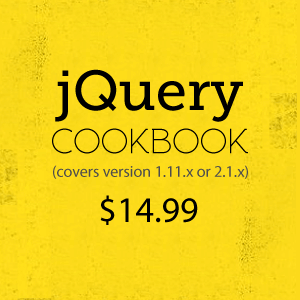 It won’t work in a document that’s served as XHTML.